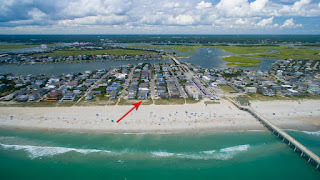 Are you looking for a turnkey, oceanfront house where all you have to do is walk through the front door and start living the beach life? 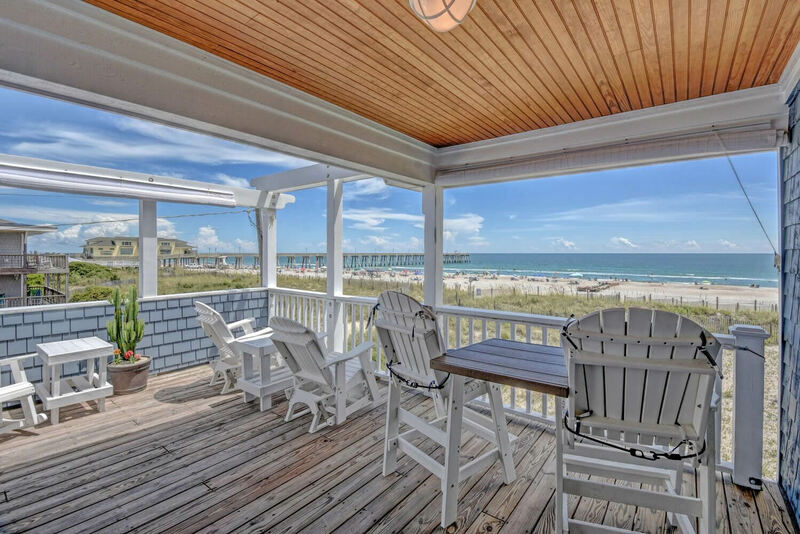 Embrace true coastal living in this newly-furnished, fully-renovated single family home on the Atlantic Ocean in Wrightsville Beach. 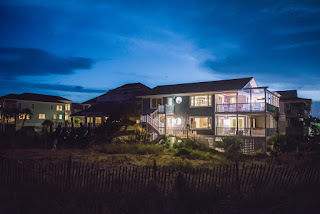 Built in 1977, the first class renovations make this oceanfront dream home look like new construction with its recently updated exterior sliding doors, interior solid core doors, and fresh paint inside and out. Perhaps one of the most striking transformations is the expert placement and arrangement of new windows throughout to allow for maximum lighting and unsurpassed views, no matter what room you're in. 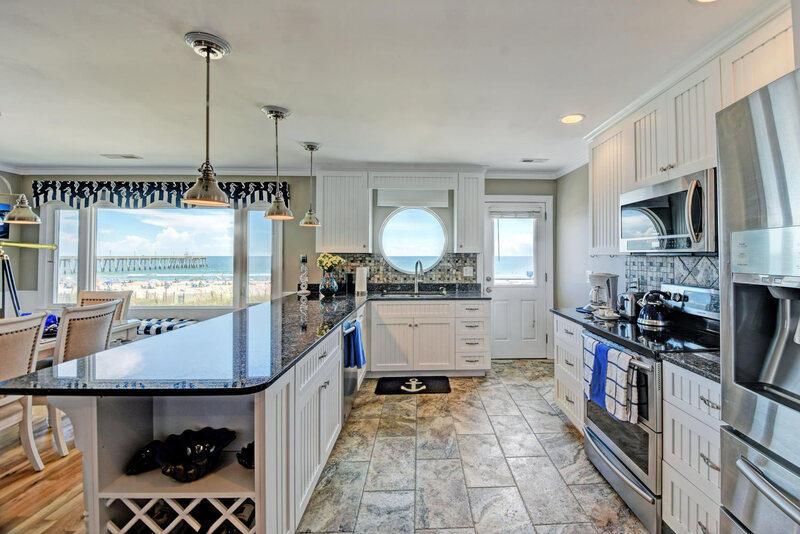 The completely remodeled kitchen has nearly every amenity imaginable. It features new stainless steel appliances, including a double oven, a double-sink, granite countertops, tile backsplash, and beautiful tile floors. From the moment you walk through the doors at 20 Henderson Street you'll want to call it home. 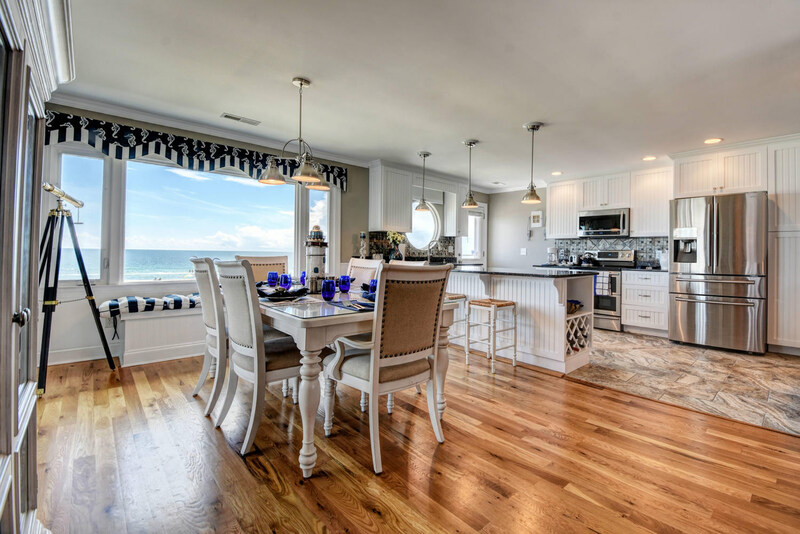 This two-story home features an open floor plan on the upper level that creates an inviting, well-lit social hub for cooking, visiting, and relaxing. On the first floor, the den and 5 bedrooms are well-appointed with decorative floor and ceiling moulding. The master en suite features a garden tub with a tile surround and a perfectly placed window for tons of natural light to give you the feeling of soaking in outdoors. 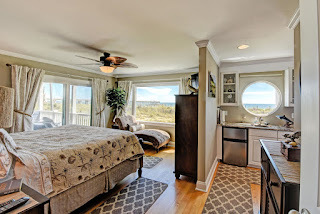 Two of the bedrooms have sliding doors that open up to a ground-level terrace so you can wake up every morning to beautiful views of the Atlantic Ocean. The terrace houses an inviting hot tub set in a private nook where you can relax in the warm water after a day on the beach. 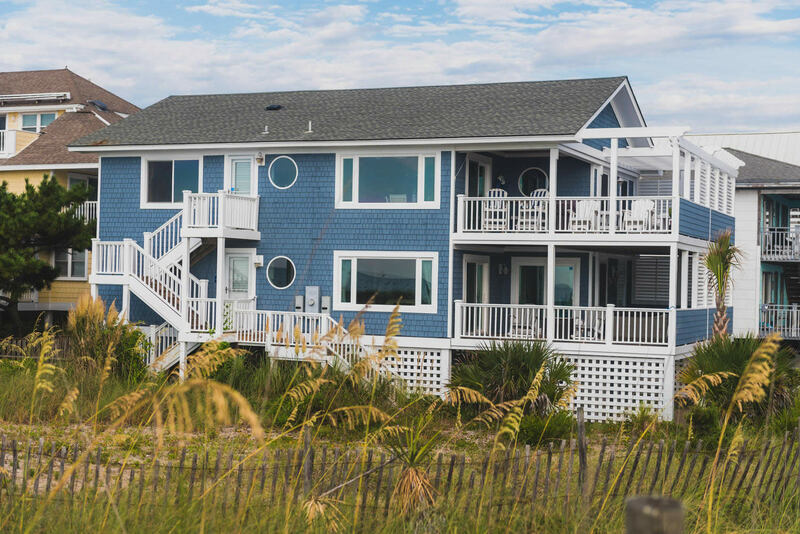 Natural grasses, sea oats, and dunes abundantly surround the 2,484 square foot home. There is ample parking with covered car ports. 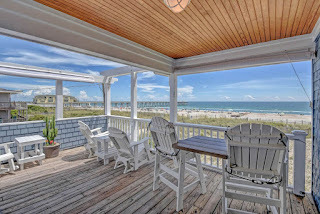 The outdoor living area of the second floor terrace offers covered and uncovered seating and dining options so residents can enjoy the breathtaking water views, fire up the grill, or entertain friends no matter the weather or time of year. The pergola offers just the right amount of shade.The second floor terrace's close proximity to the living areas makes it the perfect outdoor extension to your kitchen and dining room where you can enjoy an evening meal, watch the sunset, and listen to the soft rustle of wavering sea oats. Residents looking for the ultimate waterfront lifestyle won't be disappointed. 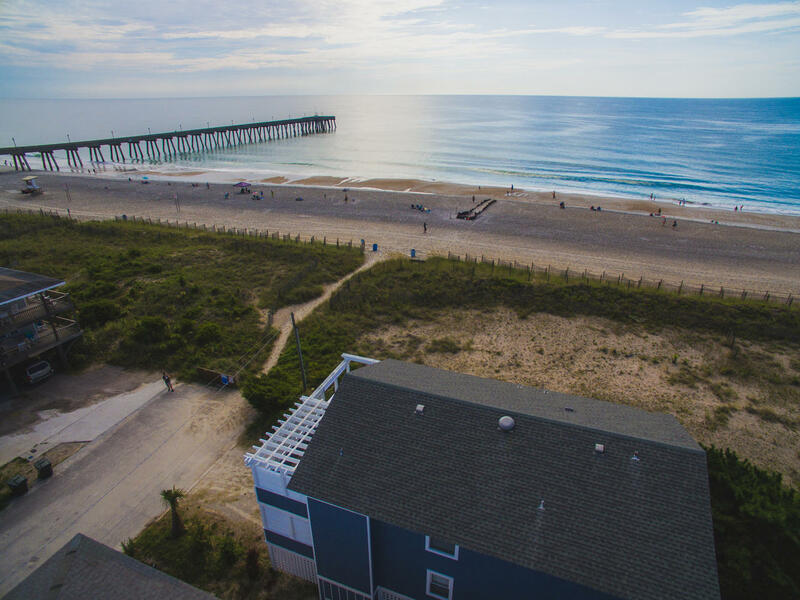 With year-round access to the Atlantic Ocean and Intracoastal Waterway, an abundance of amenities and activities are mere footsteps, a bike ride, or a paddle away. Discover the humbling beauty of this Wrightsville Beach showpiece. 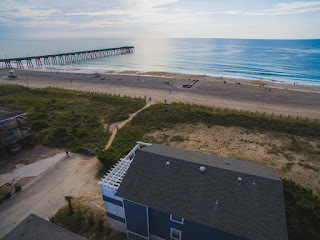 For more information on this property, please call Hardee Hunt and Williams at (800) 582-1605 or visit us online at HardeeHuntandWilliams.com.